Obama's Plans for Small Business - You Didn't Build That! As a small business owner, one of the most offensive statements I heard during this drawn out election cycle was when President Barack Obama told small business owners - "You didn't build that!" That statement told me more about President Obama than any of his books on the market or any that have been written about him. The President has absolutely no idea what small business is, how it works, or what makes it grow. I work in the firearms industry. 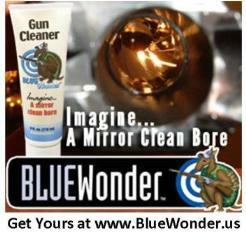 My company makes and sells cleaning and lubrications products for firearms under the Blue Wonder(tm) Gun Care Products brand name. We are a very small company, but I can promise you, like small business all across this country, it was built on my efforts, the efforts of my business partners, the efforts of my employees and the efforts of the small business store owners across our nation who distribute and sell them. It was not built by any government or any government bureaucrat. The firearms industry is made up of small businesses. Even some of the biggest companies in this industry are still, by definition, small businesses. Having worked in this industry for over 10 years now, I can tell you it is made up of honest, hard-working people who love this country and they love the businesses they are building. It is a business that is experiencing growth. This growth comes in spite of and not because of government. The government gets in the way of firearms related companies with excessive regulation and taxes every chance it gets. But we grow our businesses anyway. And we will continue to do so. This election cycle is a great opportunity to send a message to President Barack Obama. Small businesses are built by the American people. Not by their government. Get out of our way. Create a small business friendly climate nationally that is similar to what we have done here in Texas. Texas and Texans have worked together to create a stable, predictable business climate where people are willing to risk their hard earned business capital to build and expand businesses. This climate is the reason why 1.500 people are moving to Texas every single day. It is the reason business are starting up, surviving and even succeeding - despite the slow national economy. Yes, Mr. President, we did build this. We built this nation. We built our businesses. 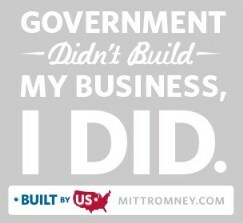 We build the national economy. To paraphrase Senator Lloyd Bentsen, I have known great business leaders. Many business leaders are friends of mine. Mr. President, you are not a business leader. I invite you to enjoy the retirement, paid for by We the People, that my fellow business owners and I are about to send you on.